Everyone’s thrown a party and had the pleasure (or displeasure) of putting together the soundtrack for the night. Spotify, however, wants to take that off your mind with its new party mode. Spotify Party is a new feature in the mobile app that allows you to create party playlists, then drag a slider to automatically change the mood. If you want it a little more upbeat, drag to the right, or to tone it down a notch, drag left. The feature is part of a collaboration with Diplo, who created 120 tracks that can be automatically tuned to the mood you’re in and automatically blend together as you change the tone. 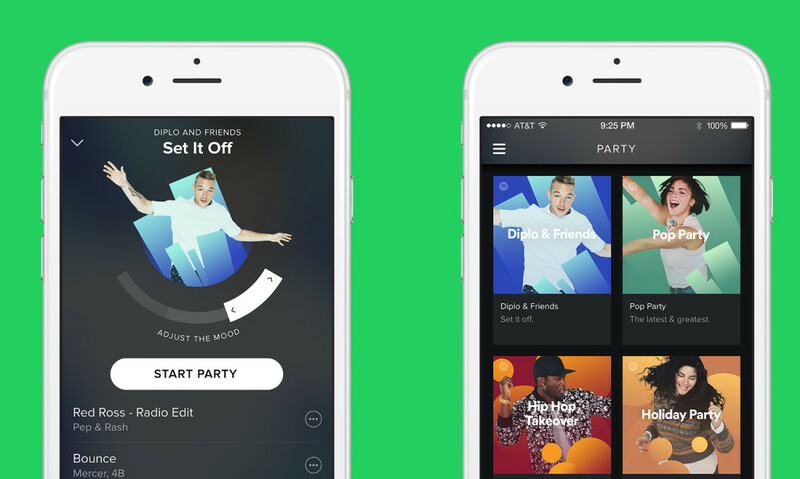 Spotify Party promises beat-matched mixes that don’t stop, so there aren’t any awkward silences. The feature is rolling out today to iOS and Android users around the world — you should start seeing it in your mobile app soon.